The financial sector has seen increased uncertainty levels over recent quarters. Despite this, however, investment in the top-level CFO talent has continued steadily across organisations to drive businesses forward. The following CFO appointments have all taken place across the wider financial sector over the last few months. 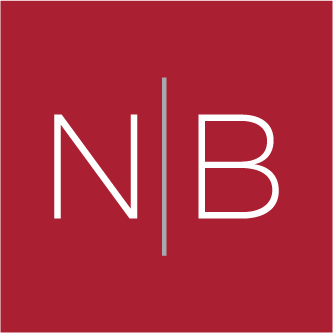 If you would like to discuss the financial practice or how Norman Broadbent Interim Management can help your business, please contact Jonathan Stringer on jonathan.stringer@normanbroadbentinterim.com or +44 (0) 020 7484 0036. General Motors has named Dhivya Suryadevara as its new chief financial officer. A former finance head at Drax, EDF and Infinis Energy has been lined up to join the proposed new retail supply division being spun off by SSE. Gordon Boyd has been named chief financial officer designate by the energy group. BIFFA boss Ian Wakelin is to step down after nearly eight years leading the waste management firm. The chief executive will be replaced by chief financial officer Michael Topham, who has been in the role since 2013. IEX, a next-generation stock exchange, announces the promotion of Sara Furber to Chief Financial Officer, which includes leadership of corporate development and IEX Ventures. Retailer Dunelm has hired Laura Carr as its new chief financial officer, poaching her from Compass Group where she served as chief financial controller. De La Rue fills finance role De La Rue has appointed an acting finance director as the banknote and passport producer seeks to recover from two profit warnings. Helen Willis will become chief financial officer on an interim basis. Luxury footwear firm Jimmy Choo has appointed Simon Kemmett, formerly of Ralph Lauren and Nike, as its new finance chief and senior vice president, business operations.